What if Saudi Arabia Sends 800 Fighters into the Assyria Nineveh Plain to Take Mosul? Who is Fighting Whom? 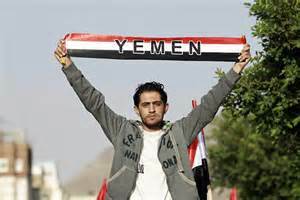 Yemen is not only the backyard of Saudi Arabia, it’s next door to it, and has been giving it trouble. With all these issues at play, Saudi has only sent 80 fighters to Yemen. But what if it sends 800 fighters to take Mosul? What would happen then? Let’s analyze this hypothetical. Saudi is in a coalition with the US and Iraq. Turkey is in coalition with the US and Iraq. Furthermore, Turkey and the KRG have reached an agreement to send soldiers to take Mosul. Now, what about Saudi? What would it mean if Saudi Arabia did commit forces to the battle to take Mosul? If the aforementioned parties want to help Iraq, why are they not reaching an agreement with the Iraqi government based in Baghdad on how the Mosul fight should be developed? Do Saudi Arabia and Turkey want to help Sunnis, or Iraq? If the answer to that question is Iraq, then why do they not commit forces to support Iraq in the Ramadi fight, but instead send them to take Mosul? What is the difference between Ramadi and Mosul? Proceeding further, we are forced to ask: If the aforementioned parties want to help and protect Sunnis – and Ramadi is indeed Sunni territory – then why go to Mosul? As we can see, there are interests in who takes Mosul. It’s about oil. It’s about the Ottoman Empire. And it’s about Shia and Sunni. This is a relationship that was forged back in 1514 during the Battle of Chaldiran. The next question is: Who are these aforementioned parties protecting the Sunnis from? Is the concern that the Iraqi Army may retake Mosul with its ties to Iran or are they worried about protecting the residents of Mosul and other Sunnis from ISIS? Whose flag is to be flown over Mosul once it is cleared? It is important to note that the leaders of the KRG have previously stated that they would not fight for Mosul. Thus, if the Kurds knew that Turkey – and possibly Saudi Arabia – will engage forces in Mosul later on, then why did the KRG not inform the Iraqi central government of their possible actions and KRG dealings with Saudi Arabia and Turkey? Why would the Kurds not recommend to these regional partners that troops need to be sent to Ramadi to help Iraq and its people for now if the fight is about destroying ISIS and protecting the Sunni’s in the region. As it stands now, the US Air Force has been the Kurdish air force for the past 15 years. Turkey has been the latter’s economic partner for the same duration of time and is the only country that KRG sells oil through directly – against Iraq’s wishes using what Iraq considers Iraqi oil and not Kurdish oil. And now, Turkey – and possibly Saudi Arabia – will apparently fight the KRG’s fight for them in Mosul, just as the Yezidis did in Sinjar, after which the Kurds took full credit for the operation and flew their flag over the city. Therefore, we are left with one more question: how is the KRG going to remain a viable and capable region if others have to fight its fights and maintain its economy as it deals with its own internal tribal and political issues?